It’s never a clean-cut mission for a band who built a fan base out of melancholic synth-pop to step into more cheerful territory. Since the beginning of time, accusations of ‘selling out’ and ‘going pop’ have been lobbed at musicians who play their own instruments and who also dare to be happy or commercially viable. It’s almost like a rite of passage. 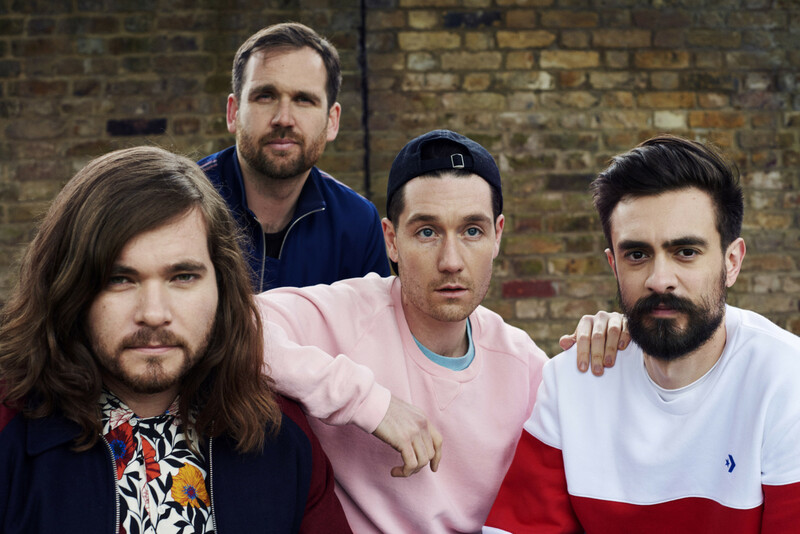 But Bastille have always had the grace of fans who accept them through their sonic experimentations – something they hope will extend to their third album, ‘Doom Days’. Set to release this summer, the so-called apocalyptic party album will be “hopefully a bit more upbeat.” In a sense, it’s a record about losing yourself in your loved ones. “The last [album] was kind of vaguely politically led … but this one is more about escapism,” pianist-bassist Kyle Simmons told Gulf News tabloid!, ahead of the band’s March 29 concert at Abu Dhabi’s Club Social festival on Yas Beach. “It’s almost like the entire world is falling apart, but you have a house party and you close the curtains, and it’s just you and the people you’re closest to, and you kind of just enjoy the night and the ups and downs of that party,” said Simmons. In a similar vein to Lorde’s ‘Melodrama’, ‘Doom Days’ is “kind of a concept album” that takes place over the course of one night. It kicks off with ‘Quarter Past Midnight’, the lead single, and runs until the next day. Simmons described the record as “quite different” than their first two, 2013’s ‘Bad Blood’ and 2016’s ‘Wild Word’. Whether or not it would be deemed more pop, he’s not sure. “Because you know, what’s pop now? Drake and Rihanna are often number one all the time in the pop charts – but then so is Adele and Ed Sheeran. So I guess, in that sense, yeah, maybe,” said Simmons. The British group were majorly influenced by ‘90s rave culture this time around. 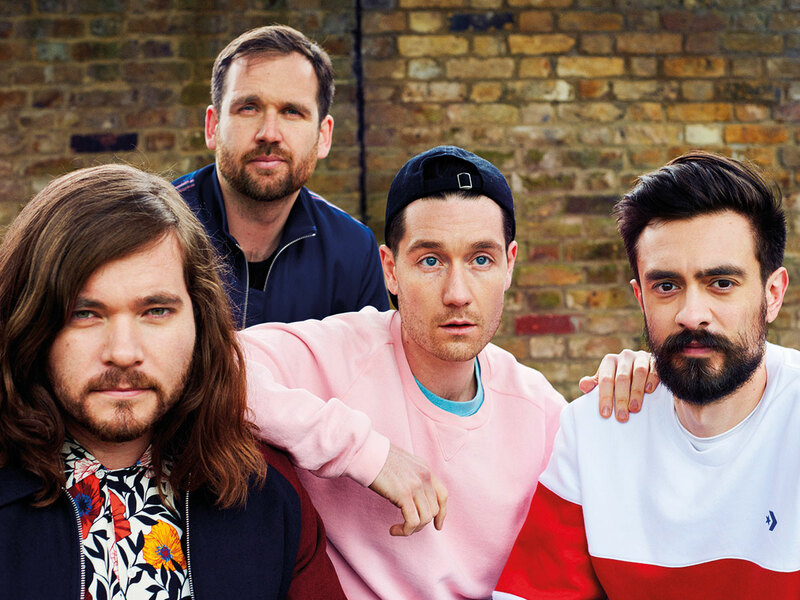 But Simmons pointed to Bastille’s history of genre-hopping since their debut. “We’ll have a kind of tiny electronic song and then a big rockier one and then we have ‘Pompei’ and then we have ‘Overjoyed’ and then ‘Four Walls and Blame’,” said Simmons. The glue that holds it all together is singer Dan Smith, whose easily distinguished vocals can make any genre a Bastille one. “Dan’s voice is so distinct that it kind of acts as an anchor. That means that we’re able to kind of experiment quite a lot, because then as soon as Dan’s voice comes in, it’s like, ‘Oh yeah. That’s Bastille,’” said Simmons. The band’s biggest departure yet has been the smash hit ‘Happier’, a cross-Atlantic collaboration with Pennsylvanian producer Marshmello. The song, originally penned by Smith, became the highest-charting single for both Bastille and Marshmello, peaking at No 2 in America and the UK. Before ‘Happier’ came along, there was the band’s breakout hit ‘Pompeii’, which peaked at No 5 and disoriented the band with its success. “We didn’t really know what was happening … It was just like a rocket that we were having to chase around [the world]. Even today, a lot of people ask if we’re bored of playing it, and I think that’s kind of crazy. I don’t think I’ll ever get bored of playing any of our songs and ‘Pompeii’ will always have that kind of special place with us,” said Simmons. It’s not uncommon for rock bands to threaten to pull their most popular or best-selling hits from their set lists, but Simmons believes that once a song is released, it belongs to the fans. “Who knows, in 15 years, we might just be all old and grumpy. But we’ve always said that once you release music, you kind of relinquish your ownership over it. For instance, we have all these songs on the third album that’s not yet released, and so it still only belongs to us,” said Simmons. “As soon as you release them, people will listen to them and then they have their own ideas about what it’s about, and then they attach their feelings to it and they attach their own personal lives to the songs, and then all of a sudden, it’s not just our song anymore. Tickets to see Bastille at Club Social on Yas Beach are Dh195. Entry to the family-friendly Club Social festival, which runs from 10am to 1am on March 29 and 10am to 10pm on March 30 and features pop-ups and food trucks, is free with registration ahead of March 29, or Dh50 at the door.